Alrighty then! 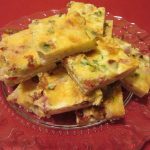 On this Eve of Christmas, my gift to you is this scrumptious, easy, use whatever you have in the fridge, crowd pleasing, makes a bunch, pretty as a picture, Quiche like appetizer. WHEW! How’s that for a description? But seriously, if you are looking for something new to serve family and friends, you can’t go wrong with this one. I’ll show you just how I made it, but feel free to vary the fillings to your taste and what you have available. 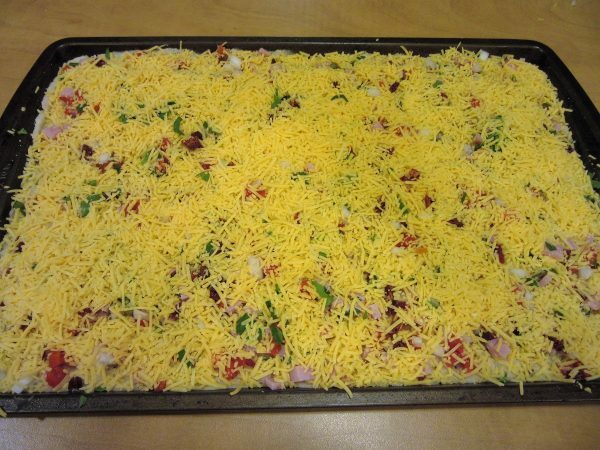 I used ham, pimento, onion, sun dried tomato and cheddar cheese. But, cooked sausage or crumbled bacon, minced broccoli, diced peppers and maybe Swiss Cheese would be fabulous! Whatever you use, I love this crust that I just dreamed up and it will compliment whatever you chose as filling. I made it in a snap using my food processor. No need to roll it out,just pat it in the pan! Ready? Let’s build us some Christmas Quiche. 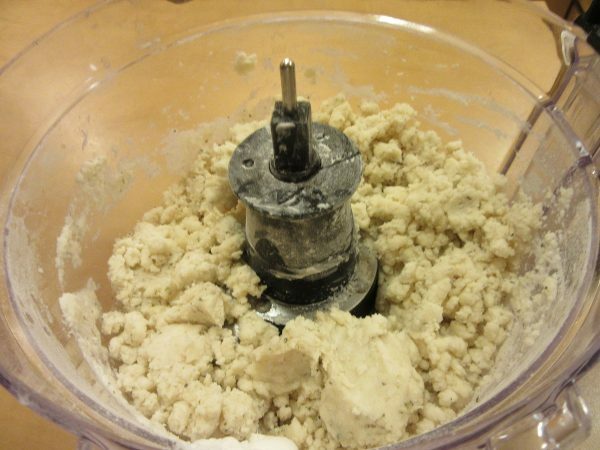 Put all the dry ingredients in a Food Processor and add the Shortening and Butter in dabs around the flour. Just so it's not all dumped in one spot. Pulse a few times until it has a crumb texture. Add water by the tablespoon and Pulse until a soft dough is formed. It should be soft but not sticky. Remember, pie crust is temperature sensitive. If your kitchen is warm, the dough will need slightly less water. In a cold kitchen you may need slightly more water. 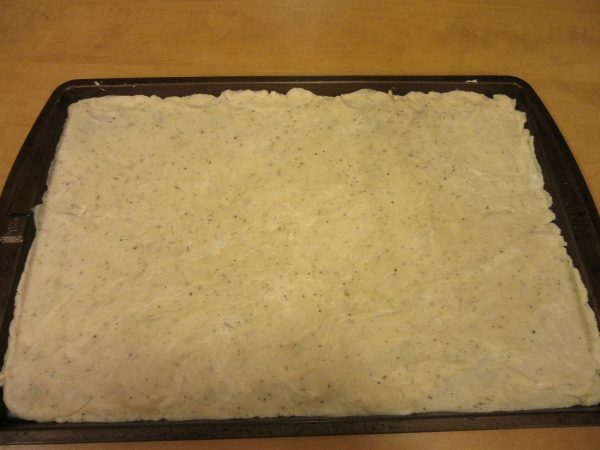 Place the dough in mounds on the baking pan. That just makes it easier to spread. Using your hands, pat and push the dough evenly across the pan. Take a fork and prick the crust all over. This keeps it from bubbling up when it bakes. Pop it in the 400° oven for 5 minutes just until it starts to turn golden. Then remove. That's it! 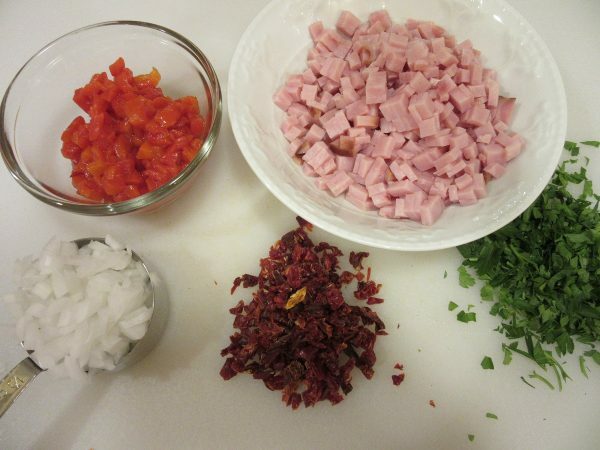 Chop the Ham into small dice. Mince the onion, sun dried Tomato, Pimento and Parsley. Start building layers! 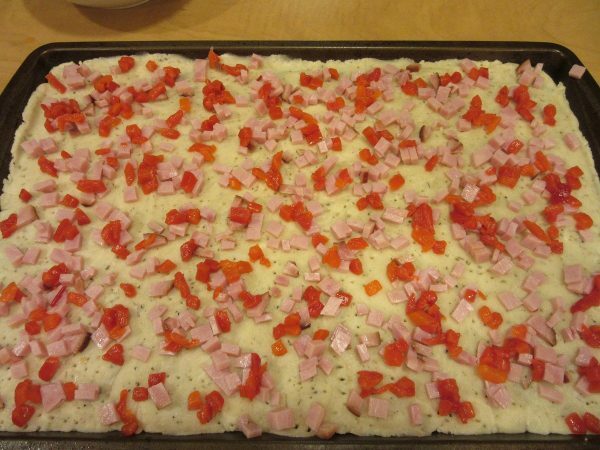 Spread the Ham evenly across the crust, followed by the sun dried Tomatoes. 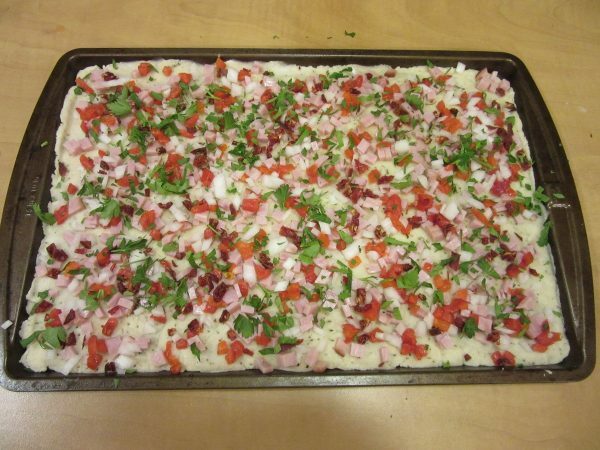 Layer the Onions and Parsley evenly across the Crust. Sprinkle the shredded Cheddar Cheese on top. Does that not look wonderful? 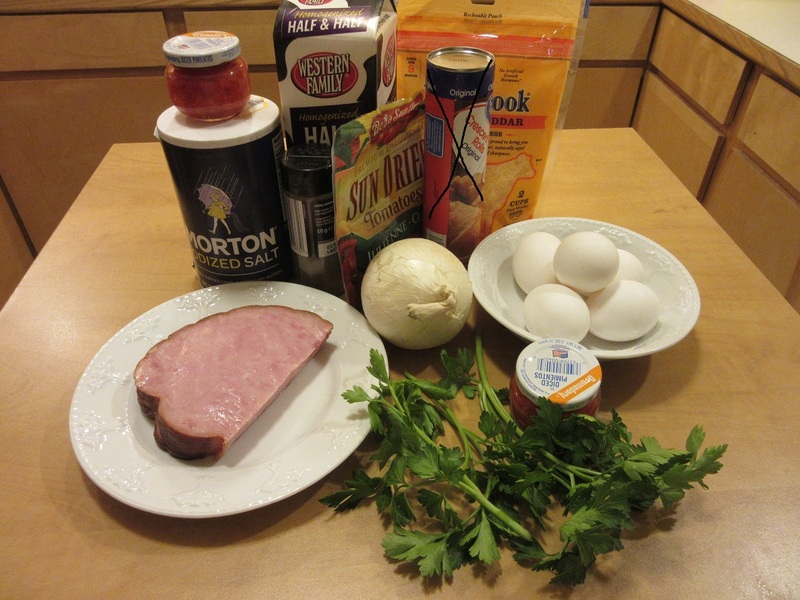 Next......whisk the Eggs until well combined, then add the Half n Half and Salt. Whisk until combined. Then slowly pour it evenly across the filling. Warning! You might use a tad less than all the egg/milk mixture, especially if you were generous with the filling ingredients. I had egg and milk running all over the kitchen floor! Oops....LOL! 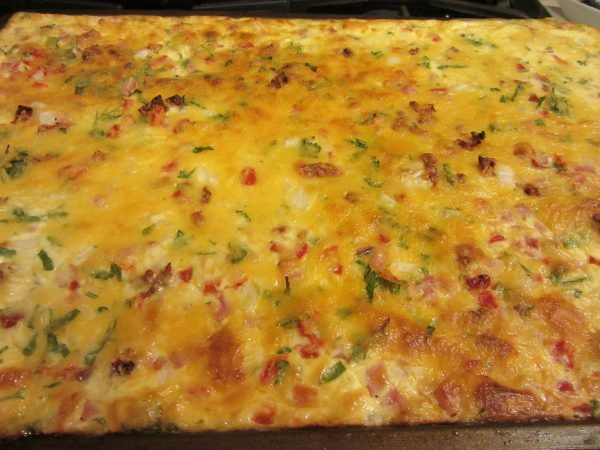 Place the Quiche in the 400° oven and bake for 25 Minutes until the top is crusty and golden brown. Remove from the oven and let it cool for 10 minutes or so. 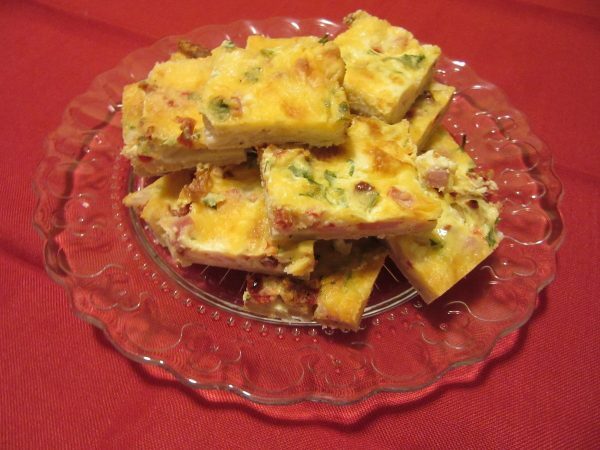 Then cut into small squares and serve warm or at room temperature. Enjoy! You know I love to cook and I hope you all do to, but Christmas is so much more than great food. It's about family, friends and sharing. Making memories with friends, kids and Grandkids. With us, it's even making memories with Alpacas, Dogs and Kitties! However you celebrate Christmas, I wish you Love and Peace.